Becca is 34 and lives in Kent with her husband, 3 year old twins and 2 cats. 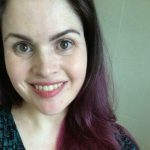 She blogs about parenting and mental health (among other things) over at www.beccablogsitout.com. .